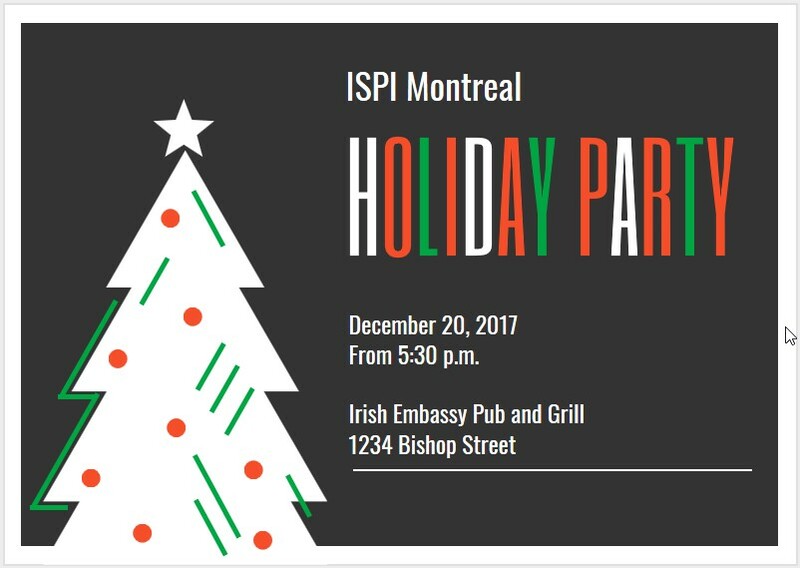 On December 20, the ISPI Montreal Chapter will host a holiday party and networking event jointly with the Canadian Association of Professional Speakers, Coaches of Montreal, the Institute for Performance and Learning, and the Montreal Trainers’ Group. Along with being a holiday party, this will be a great opportunity to network and connect with colleagues. Please confirm your attendance by clicking here and registering in Event Brite. Please note that there is no attendance fee for this party, but food and drink is at your own expense. There will be complimentary bar snacks provided and happy hour prices on drinks.